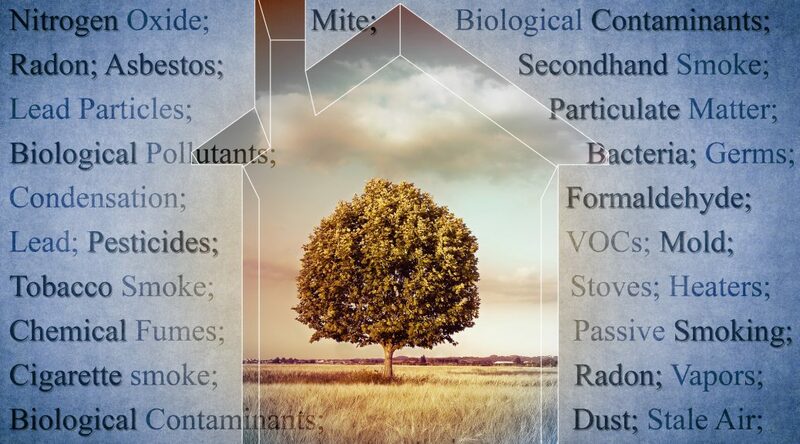 Are there items that you are using in your home that could be polluting the air you breathe? If you’ve got problems like a chronically runny nose, itchy, watery eyes, or a nagging cough – and you’re nowhere near the typical allergy season – there might be an issue with the air quality inside your home. 90% of your time is spent indoors, and if there’s something in your home emitting a pollutant, there’s a good chance you’re breathing it in. What happens: Over-watered plants with wet soil are breeding grounds for mold and mildew. The fix: Try an automatic plant waterer – you can even make your own! – that provides water to the plant as needed, which can prevent it from being oversaturated. What happens: Many carpets are treated with a stain resistant or flame-retardant chemical, which can then off-gas into your air. With furniture, they can come from the glues and binders used in particleboard. The fix: For furniture, look for certified solid wood products or secondhand furniture that’s lead-free. For carpets, look for Green Label products. Investing in a good vacuum cleaner with a HEPA filter can help improve your indoor air quality, as can an air purifier that can destroy contaminants, odors, and VOCs. What happens: Chlorine from unfiltered water steam can become airborne and travel throughout your home as a gas. The fix: Look for a showerhead filter that removes chlorine (and other potentially harmful contaminants). Invest in a high-quality air purifier that can eliminate contaminants and pollutants within your home as well. What happens: Burning the candles releases the chemicals in the candle right into your air. The fix: Use pure essential oils (a few drops added to a spray bottle of distilled water) or, if you have to have the glow and ambience of a candle, choose beeswax candles, which actually emit negative ions (that’s a good thing)! What happens: The chemicals that make up these products are being emitted right from your dryer vent, and there’s no current way to regulate this. The fix: Units like the Laundry Pro 2.0 eliminate the need for bleaches, detergents and fabric softeners – which means the fumes aren’t re-circulated, and as a bonus, they’re not in contact with your skin or leaching into the water supply, either. What happens: At high temperatures, the chemical polytetrafluoroethylene can release and contribute to the air pollution of your home. This chemical has also been linked with thyroid disease and ADHD. The fix: If you see a nick or scratch in your nonstick cookware, it’s time to stop using it. Stoneware, heavy-duty stainless steel or enamel-coated cast iron can be great alternatives. What happens: Fumes from these products can create ozone, and many cleaners contain artificial fragrances and dyes that can cause contact dermatitis, as well as trigger asthma and allergy symptoms. The fix: Make your own cleaners! Inexpensive, green cleaning ingredients like white vinegar, lemon, and baking soda can be just as effective at a fraction of the cost and with no negative impact on indoor air quality.